Pack a prized Yamanashi piece of fruit in your camping bag and head for the hills. 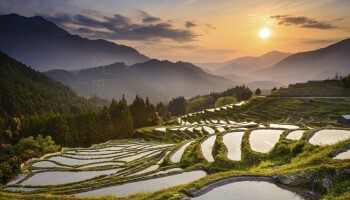 A ring of emerald mountains around a low plain forms landlocked Yamanashi prefecture in the Chubu region; a landscape ripe for outdoor activities. 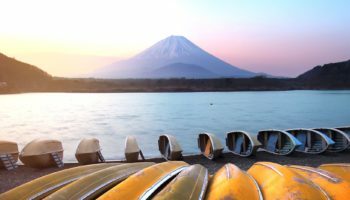 Hiking, climbing, fishing, camping and hot springs are all within easy reach, while fertile conditions have blessed the region with some of Japan’s most delicious fruit. Yamanashi is also a premier producer of wine and growing champion of wine tourism; this can only be a good sign. 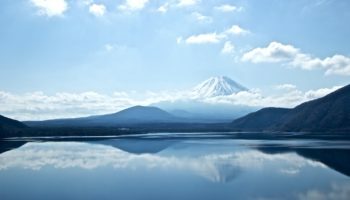 Mount Fuji is the highest peak in Yamanashi, reflected in the pristine waters of the Fuji Five Lakes. 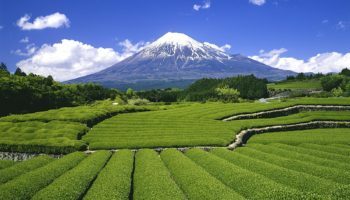 Kawaguchiko, Yamanakako, Shojiko, Motosuko and Saiko run along Fuji’s northern foot; Kawaguchiko is the main gateway to the region – take the Fujikyu railway for a scenic approach – or hop on a direct bus from central Tokyo for easy access to Japan’s most iconic views. 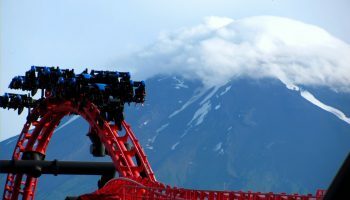 See the spectacular shibazakura at the base of Mount Fuji. 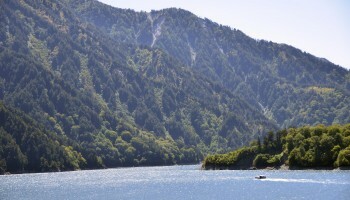 Yamanakako is a popular summer resort, especially for water sports, with lots of camping spots around the lake. 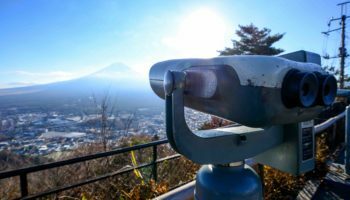 The surface of Shojiko is where you can photograph the classic reflected image of Fuji upside-down, while at Motosuko you can recapture the scene of Mount Fuji that’s printed on the 1000 yen bill. 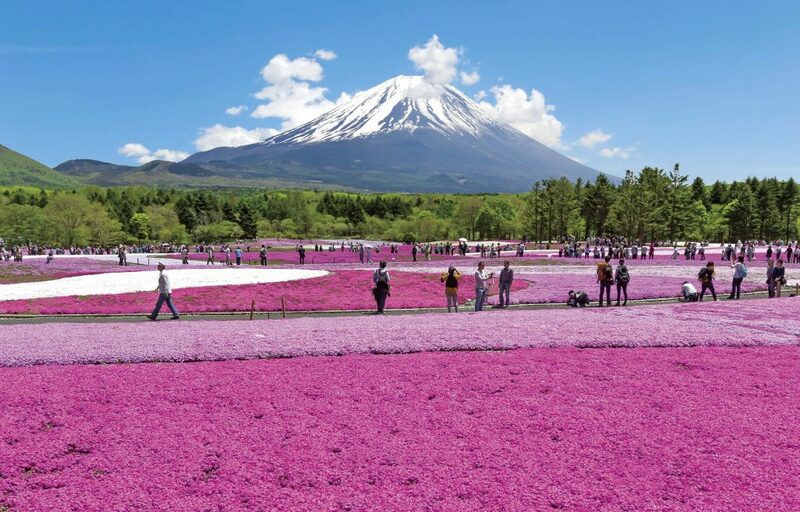 During late April through May, get your camera ready for the spectacularly photogenic shibakazura flower festival, where thousands of tiny pink and purple moss phlox form a giant flower carpet with Fuji as a backdrop. Lake Saiko is the least developed, sadly notorious for the Aokigahara suicide forest at its southern shore. It’s still a beautiful place for hiking though, perhaps all the more so because of its mysterious power to draw people into the abyss. 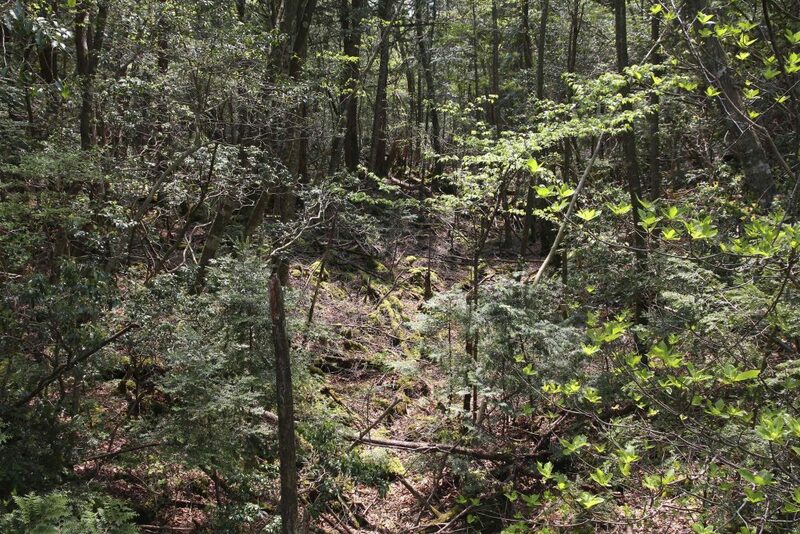 Aokigahara is also known as Jukai or Sea of Trees. It’s notorious for being a common spot for suicides. In the Southern Alps, Mount Kita is Japan’s second-highest mountain, famous among climbers for its challenging 600m sheer rock face known as ‘The Buttress’. 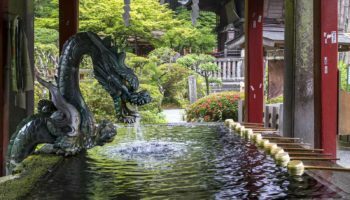 Sacred Mount Minobu attracts worshippers to Kuonji temple, headquarters of the Nichiren sect of Buddhism. 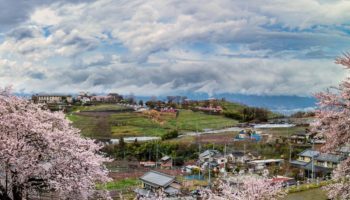 The hills of Katsunuma draw a different kind of devotee, come to sample some of Japan’s finest Koshu wine. 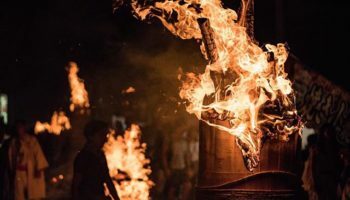 Produced since the late 19th century, Koshu wine is gaining international recognition and there are around 100 wineries in the area offering plenty of options for tours and tasting sessions. 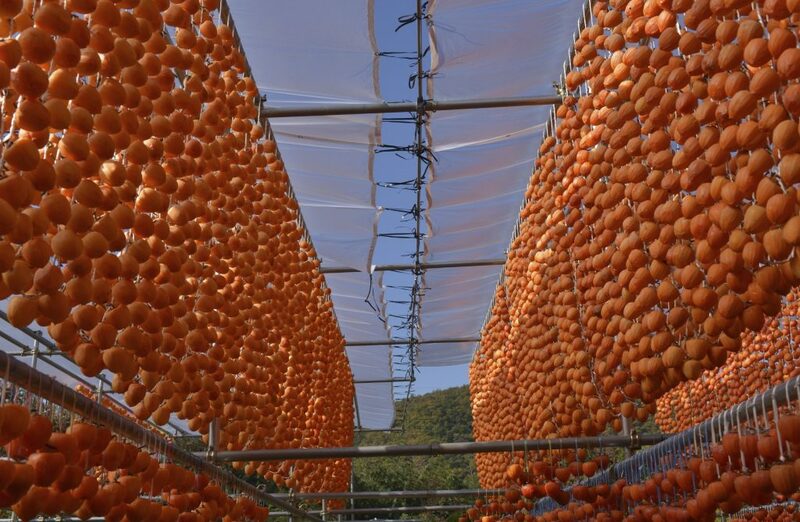 Get your fill of fruit in Yamanashi prefecture. Don’t leave without picking some of Yamanashi’s incredible fruit. Peach, grape and plum are the fruity frontrunners, but you can also harvest your own strawberries, blueberries, apples, persimmons (above) and pears. Thrill seekers of the world: listen carefully. 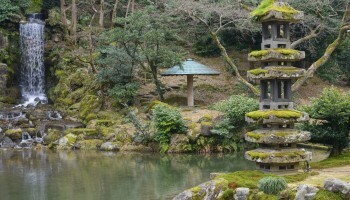 Travel in a picture book-like scenery with Mt. Fuji in the backdrop. 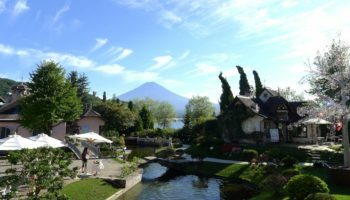 The gateway to the Fuji Five Lakes area, this lake holds hot springs resorts, museums and both lakeside and mountain views of Mount Fuji. 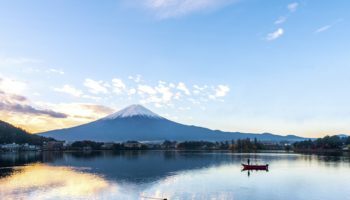 Anyone who has ever paid for something with a ¥1,000 bill should be familiar with this lake’s view of Mount Fuji. 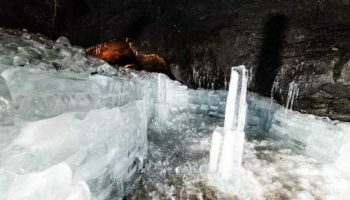 Generations of experience combine with the pure spring waters of Mt. 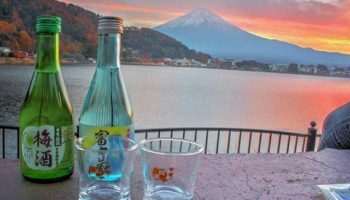 Fuji to create the perfect tipple. Fireworks at the foot of Mt. Fuji. Aichi prefecture is the dynamic capital of Japanese industrialization. Discover dinosaurs and the art of Zen in fossil-filled Fukui. 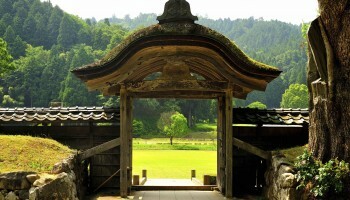 Scenic Gifu prefecture is a rewarding stopping point on the way from Kanto to Kansai. Rich cultural heritage, great seafood and some stunning coastal scenery - if you're into that sort of thing. 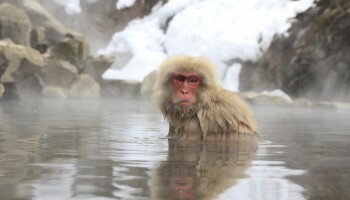 World-class winter sports, hot springs (occasionally monkey-filled), delicious local food and a foreigner-friendly vibe. 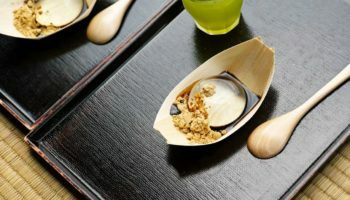 The rice is right in Niigata prefecture where there's skiing in winter, festivals in summer and sake all year round. 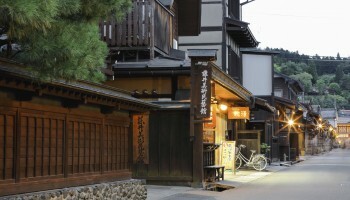 It's resorts galore in serene Shizuoka. 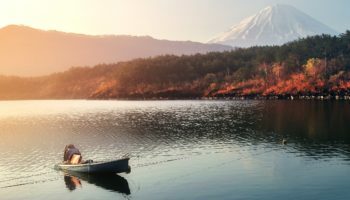 Toyama's speciality is mountains and there's no better place to experience them than here.